Join us for a morning of searching the stars at Ingram Planetarium in Sunset Beach. 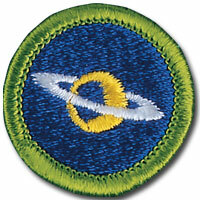 The Planetarium staff will be conducting an in depth Astronomy Merit Badge Class just for our Scouts. This is an awesome opportunity to learn all about our solar system. As part of the registration fee, Scouts will receive an Astronomy Merit Badge book, worksheet and a blue card. *Requirement 4 must be done outside of the merit badge class.